Is solar air conditioning a concept whose time has come? Chromasun has raised $3 million to try to bring its solar air conditioning system to market. The company, founded in 2008 by Ausra co-founder Peter Le Lievre, has created a rooftop system that collects heat from the sun with reflectors and transfers it into a fluid, similar to the process that large-scale solar thermal systems in the desert use. But instead of using the heat to make steam and turn a turbine, the heat is pumped into a double-effect chiller that, through a series of phase-change reactions and heat exchanges, results in cold air. So it's heat from the sun cooling rooms more efficiently than traditional air conditioners can. Go figure. Even better, solar air conditioners tend to work their hardest during hot summer peak-power days, so they can relieve strain on the grid. Air conditioning accounts for fifty percent of the demand for power during peak periods in California, according to Le Lievre. Payback can occur in two to four years. Chromasun has projects underway in Australia, the Middle East, Europe and the U.S. Solar cells can also be added to the company's rooftop unit so that it generates electrical power. (Read the first story on Chromasun here.). 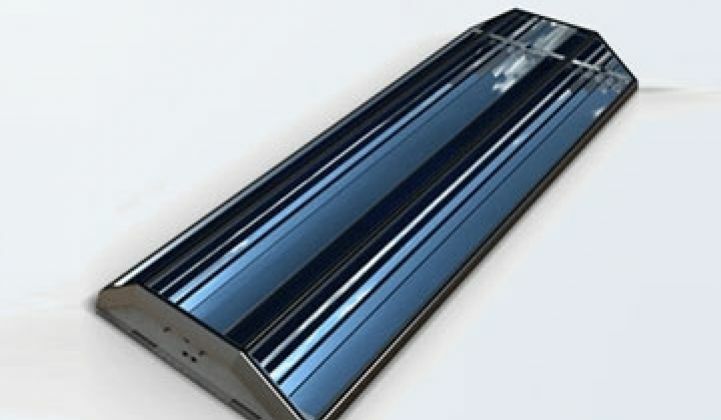 Other companies working on dual-function solar devices include BrightPhase Energy (light, electricity, heat), Entech Solar (electricity, heat) and SunDrum (solar thermal collector that clips onto PV panels). Air conditioning in general has been gaining momentum with investors and researchers over the past two years. PARC, for instance, has created an air conditioner powered by sound waves, while Ice Energy plans to plant 53 megawatts of its ice air conditioning units in Southern California to both cool buildings and serve as a mechanism for energy storage. Chromasun, thus, is mining two trends in one: solar and green building equipment. Investors include VKR Holding and GoGreen Capital.